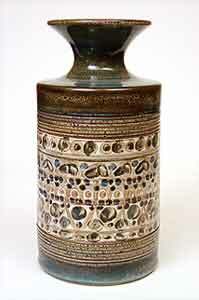 Minaret vase - 9⅜" (238 mm) high, 5" (127 mm) diameter. Designed by David Yorath. This is Shape No. 803.